Last week I posted a picture of a popular Brazilian Easter tradition. 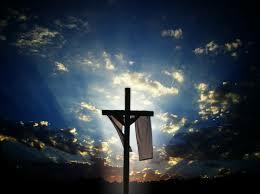 But we all know that Easter is much more than chocolate. Nothing proved that more than our little church service on Sunday night. Half of our team of twelve was traveling so our group was greatly reduced in size. There were three visitors, however, which added an air of excitement. When it came time to share prayer requests and praises, several talked about how God was opening doors for ministry that they had never imagined. One man works in a detention center for young boys and told how he has had many opportunities to share the gospel. The boys are responding enthusiastically to his fatherly love and counsel. Another person spoke of how she is holding a daily Bible study in her secular private high school and of how the attendees have grown from five to twenty. Dan and I shared about a family that has invited us into their home to teach them the Bible each week. All of them attend even though only one of the five of them is a Christian! None of these circumstances were made possible by our own efforts. My hunch is that they came about because of our month of prayer and fasting.The Lord gets all the credit for doing more than we could ask or think. We praise Him because on the cross He broke the chains of death, sin, and hell so that we might proclaim his salvation day after day. What a way to celebrate Easter! How wonderful to read that God is at work! You had a wonderful Easter indeed!